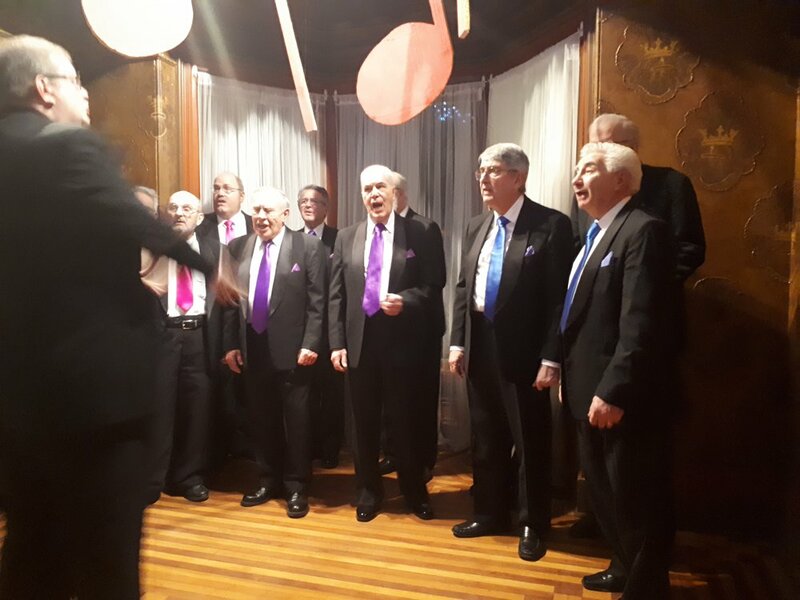 Nova Scotia's Annapolis Valley is the home of the Dukes of Kent, a male, four-part A Capella harmony chorus, Kentville's chapter of the international Barbershop Harmony Society. Our music is created with nothing but human voices coming together to create a rich and satisfying texture that is pleasing to the ears and invigorating to the soul. Our form of four-part harmony appeals to musicians of all levels--it allows you to find your voice and be a part of creating something that is greater than the sum of its parts. The Dukes of Kent have won the Atlantic Provinces' first place trophy twelve times in their long, prestigious history. Men from across the Annapolis Valley of Nova Scotia and beyond join together in the award winning Dukes of Kent Harmony Chorus. We practice weekly and perform regularly for the public and for special occasions to promote harmony and good will in our community. Whether you sing or are looking for musical entertainment for your event, you've come to the right place. We look forward to hearing from you!